What is PvP (Player Vs Player) Mode? What are Supply Drops (Free Crates)? How do I aim my weapon? How do I fire my weapon? How do I zoom the telescopic lens/aim down the sights with my weapon? How do I reload my weapon? How do I activate Slow-Mo (Slow Motion)? How do I get more Slow-Mo? What are Machine Gun Missions? How do I access PvP Mode? What PvP Game Modes are there? How do I equip/purchase Weapons? How do I upgrade my weapon? How do I change weapon? How do I change/purchase different gear for my character? What are perks and how can I use them? How do I purchase Special Offers, Gold, Cash or Consumables? How do I Search for an Clan? How do I turn MUSIC On/Off? How do I turn SFX On/Off? How do I turn PINCH TO ZOOM On/Off? How do I turn INVERT Y-AXIS On/Off? How Do I Access Global Chat? How Do I Access Clan Chat? How Do I Access Private Chat? How do I Access The Player Chat Menu? How Do I Access Inbox Messages? I Lost My Progress, How Do I Get It Back? How do I find my Order History (iOS)? How do I find my Order History (Android)? How Do I Turn Notifications On/Off (iOS)? How Do I Turn Notifications On/Off (Android)? I didn’t receive my purchase! How do I request a refund (iOS)? How do I request a refund (Android)? 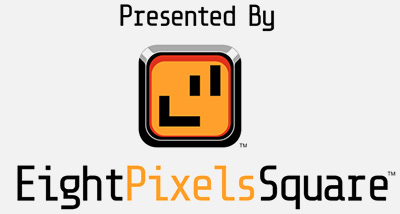 EightPixelsSquare comprises of an elite team of 43 veteran game developers. Over 15 million players worldwide enjoy EightPixelsSquare's catalogue of games across iOS and Android platforms. 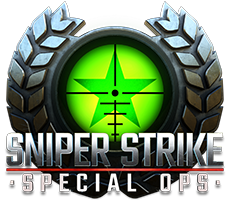 The studio’s focus is on creating engaging and high quality free-to-play games for mobile devices. In December 2016, EightPixelsSquare was acquired by Outplay Entertainment, the largest independent mobile games developer in the UK.